How can a secretary drive a brand new BMW? How can an office manager live in a big home in an expensive part of town? How can a non-working grad school student afford to always eat at the most expensive restaurants? Economic Outpatient Care (EOC) and Other People’s Money (OPM). 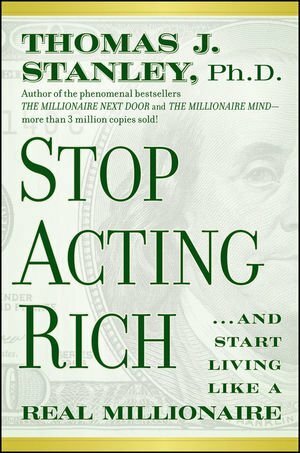 I first came across these unique terms in the book The Millionaire Next Door by Thomas Stanley / William Danko and also in the book Stop Acting Rich by Thomas Stanley. You can check out these books from the library. The authors describe economic outpatient care (EOC) and other people’s money (OPM) as the substantial financial gifts some affluent parents provide for their adult children and grandchildren. 1. Under Accumulators of Wealth (UAW) – Individuals who accumulate a lot less wealth than one would expect based on their income. 2. 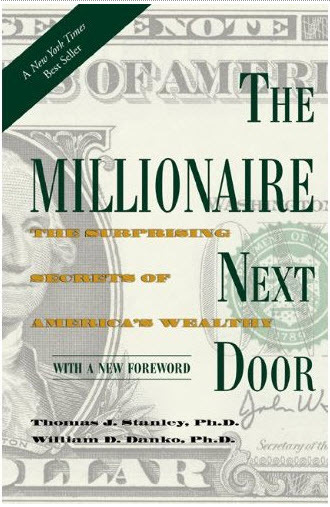 Prodigious Accumulators of Wealth (PAW) – Individuals who accumulate a lot more wealth than one would expect based on their income. If one is always spending as much as they earn or more, they will NEVER increase their net worth, no matter how much money they make. It’s commonly found that the UAW tend to require their parents’ money in order to afford the luxuries they feel entitled to. Their parents tend to be first generation rich, and come from poor backgrounds. The logic that the parents have is that they want their children to have “everything they couldn’t afford when they were poor.” These parents don’t want their children to “suffer from being poor” like the lifestyle their parents grew up in. They go out of their way to spoil their children, thinking that they are helping their children succeed. These wealthy parents do not teach their UAW children about the importance of budgeting and investing money. Ironically, the children of such parents are financially crippled. Adult children of wealthy families tend to be underachievers, and do not achieve the level of success as their parents. Let’s say that a parent has 2 children. One of them is healthy while the other one has a chronic illness. It would make sense for the parent to take care of the chronically ill child, right? The opposite is true when it comes to EOC. Providing your children with economic outpatient care hinders their development, and weakens their ability to generate a high income. Individuals who regularly receive financial gifts from their parents have only 57% of the net worth as individuals who do not receive financial gifts from their parents. When a child is constantly given money from their parents, they develop a false sense of financial security, as well as a false sense of entitlement. An analogy is made of a child standing in front of his parents’ home, telling others to “get off MY property,” as the child is claiming that what his parents have earned, also belongs to him. These children never develop the drive and the overwhelming sense of urgency to succeed. These children never get the burning fire of relentlessly pursuing their own success. And why should they? Their parents are there to take care of them. The scary future is not just for these individuals. Often times, these individuals regularly receiving EOC / OPM do just fine. They have lives filled with hyper consumption of material goods. These individuals tend to put everything on credit even when they don’t have the money to completely pay for the item. This is the worst way to use your credit card. If their credit card debt gets too high, it’s okay. They have their own personal bail out fund from their parents. Their futures are set. The scary future is for the children of parents used OPM. These children end up far worse than their parents. They will not have parents to depend on in case of true financial hardship. Remember, if you can’t support yourself without help from others, how are you going to support your children? They will have to go to their grandparents for their own financial stimulus packages. Don’t let this sick cycle become a part of your life. Constantly making OPM an integral part of your life will ruin your family. I’ve been lucky to have parents that have always been there for me financially. In a way, I regret it. I admit there is no doubt I am nowhere near as successful as my parents. For years, I’ve lacked the true drive to relentlessly pursue my goals. I’ve always done fine, just living on my own treadmill existence. I've been working for 4 years now and I'm embarrassed to say that I don't have much to show for it. All that has changed now. I’m going to be a prodigious accumulator of wealth. There are times when a person truly needs financial help from their parents or their family. Thomas Stanley’s blog gives an example of how EOC can be used for good purposes here. Not all EOC is bad. Just don’t abuse or depend on it. If you are thinking about receiving EOC or OPM, ask yourself if this is a true financial emergency. Plan out your own finances independently. Then if you do get a large sum of money from your spouse, or as a gift or inheritance, be financially wise about it. Look at increases in income first as opportunities to pay off debt, invest more and to become financially independent. Wait to spend money after you become wealthy, not before. But most importantly, do NOT depend on this magical free gift of money to fall into your lap in the future. Always strive to live on your own means, not someone else’s.